Filmora Scrn helps you capture and edit video with powerful features. With the releasing of iOS 11, recording gaming or screen on iPhone or iPad is much easier. You may have heard it already that iOS 11 or later version allows you to record your iPhone screen with the built-in Screen Recording feature. If you are using iPhone 8 or iPhone X, then your iPhone is already featured the Screen Recording tool, otherwise, you may need to update your iOS to iOS 11 or later. There is one thing need to note that not all iPhone or iPad device support iOS 11 because iOS 11 supports only 64-bit device. If you are using the iPhone 5, iPhone 5c or other older iPhone, or the 3rd&4th generation of iPad, then you can not update it to iOS 11. 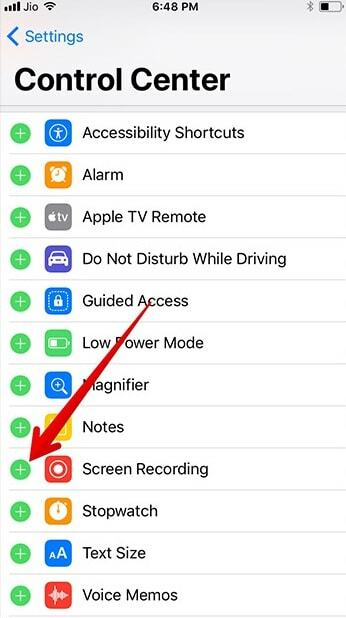 If your iOS is older than iOS 11 and you still want to record the behavior on your iPhone, you need a screen recording app for iPhone to complete the recording. 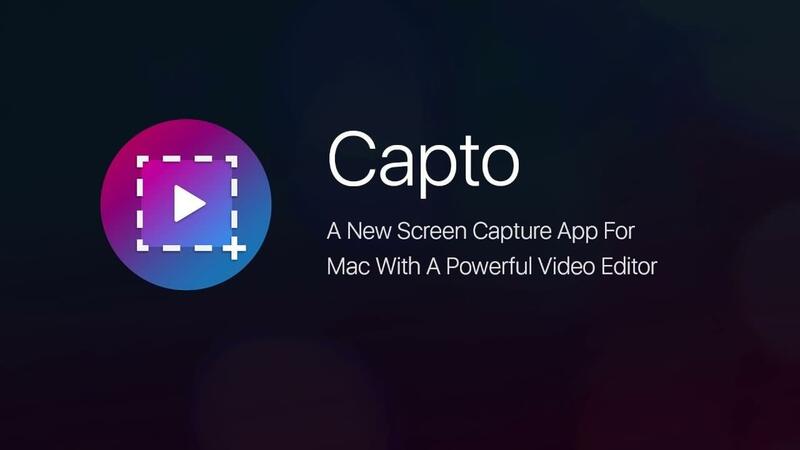 But, do not worry, here we have figures several more methods that you can use to record the screen on all your iOS device, including recording the iOS screen with some apps without jailbreaking, recording your iPhone/iPad devices on Mac & Windows. Here we will show you some mobile screen recorders that you can use in iPhone screen recording as well as other methods to record iOS screen on Mac and Windows. So, let’s dig further to find out the best apps for recording iOS screen. Download and try it, totally free for its recording feature. This application is developed by Shou.tv creators and works perfectly on iOS 9. The best thing is that it utilizes very less processing power but still cam serve with high quality recording results. Professionals often love to use this application for recording of games and applications but when it is connected to microphone for audio recording then it suffers too much noise. This application works perfectly on portable devices and leads to complete screen coverage with awesome recording results. Vidyo application serves users for recording screen videos along with active audio controls that can be internal voice of the device as well as audio from the microphone at the same time. The resolution offered goes up to 1080P with 60fps and there are so many attractive mixing features for advanced recording results. The sad part is that users cannot hear voice from speaker when audio sound is being recorded. Here is one more screen recorded for active users that helps in easy mirroring while recording. The best part is that it allows easy streaming with extremely easy user interface. 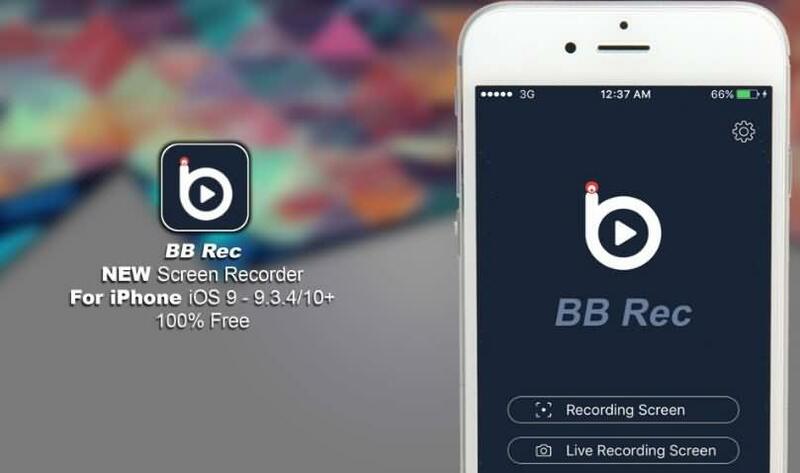 BB Recorder can be utilized for camera recording, live screen recording and basic screen capturing needs. The installation process is very simple and it has power to serve users for professional usage. It is time to enjoy mirroring with crystal clear game recording feature on iOS 7.1 and iOS 10 using Dr. Phone iOS screen recorder. You can avail this software tool in iOS as well as windows version with the best feature that is one click start function. Users can also enjoy customized settings with the application so that desired videos can be created easily. This application can be used for presentations, education, gaming, business and other recording needs. You will be glad to know that CoolPixel is not just a video recorded rather it also serves as an advanced video editor software program. 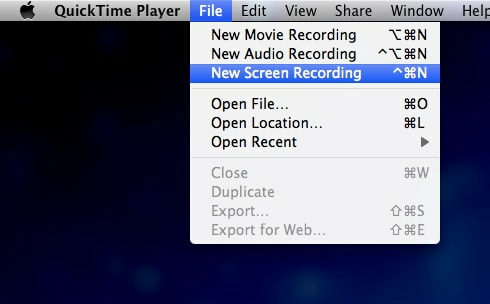 People love to use this screen recorder for games but it is not able to capture the game audio during recording process. With this software tool you can add so many filtering effects to videos along with subtitles, cutting and dragging combinations. Users love to take benefits from its creative editing support. 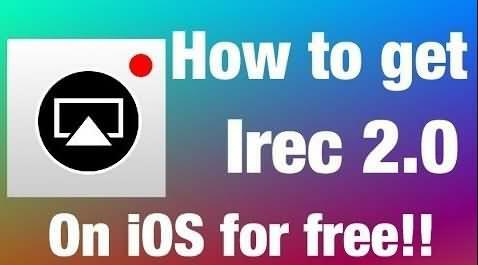 iRec is one of the most simplest and efficient screen recording tool that can capture videos at very high resolution. Some of the incredible features of this software program include: simple to use, well designed navigation platform and high quality video output generation abilities. People love to use this screen recorder for capturing game events or just to create interactive tutorials. Here is an easy to operate application that can assist users to capture screen movements, recording and for advanced image as well as video editing requirements. It comes with intelligent file manager and serves with quick sharing features. Dual type audio editor as well as image and video editor. 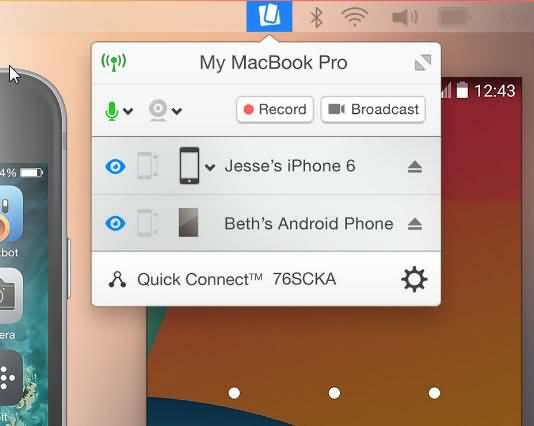 This software tool allows users to record any selected portion of screen so easily over iOS. It can capture the signals from video camera, microphone, computer’s audio as well as multi channel audio devices at the same time. Users can edit any desired portion of video and images with texts, transitions and animations. It allows users to share all kind of files with ease. Best solution for educators as they can create advanced tutorials. This software program is owned by Apple and is rated as one of the most powerful screen recorded with built in type media player. Users can view wide number of file formats using this software tool. The advanced video recording technology results in rich quality output with improved audio combination. Here is an advanced screen mirroring software program for Xbox One, PC and Mac. 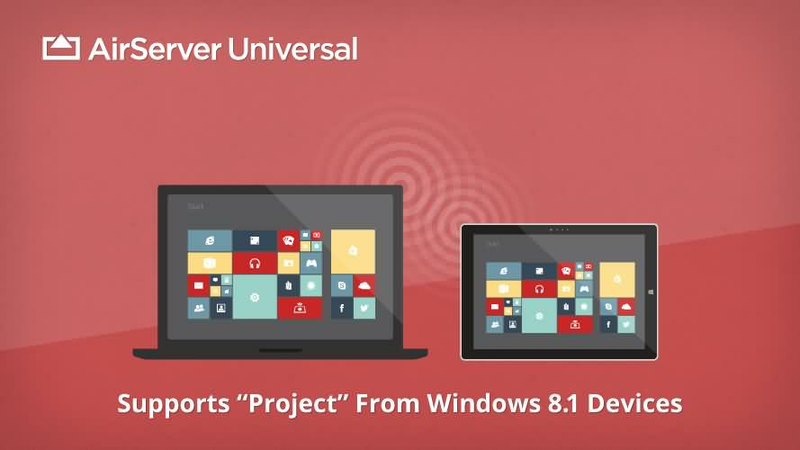 With the help of this program one can receive Miracast Streams, Google Cast and Airplay etc. same as that of an Apple TV. The advanced editing features of this screen recorder application make it to stand in the top ranking among all screen recorder software programs. 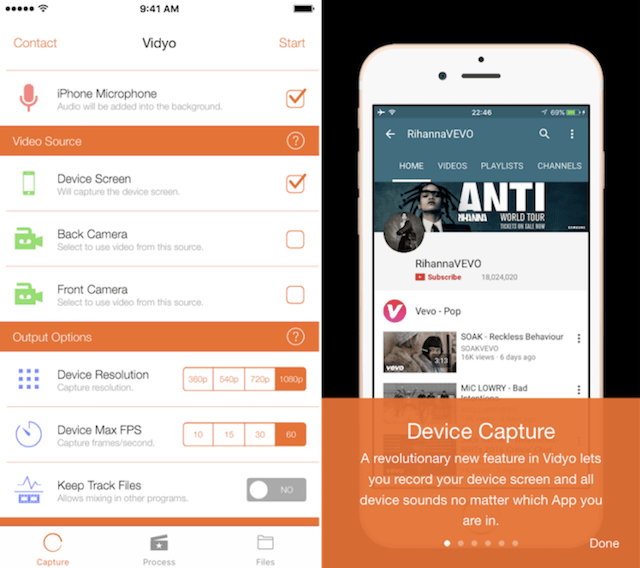 You can record videos with this software on iPhone and iPad even with separate voiceover. The advanced post recording facility allows users to work on contrast, brightness, hue, saturation, sharpness as well as flipping of screen. Game play demos can be easily created. Reflector is popular as a wireless streaming and mirroring receiver that can help users to stay connected with any external device. The mirroring feature works for all devices on real time basis. Reflector is capable enough to organize and present multiple devices of different specifications with ease. Allows easy and efficient management of all connected devices. Real time mirroring facility available. It is much easier to record screens with voice over. Media streaming is possible with reflector. 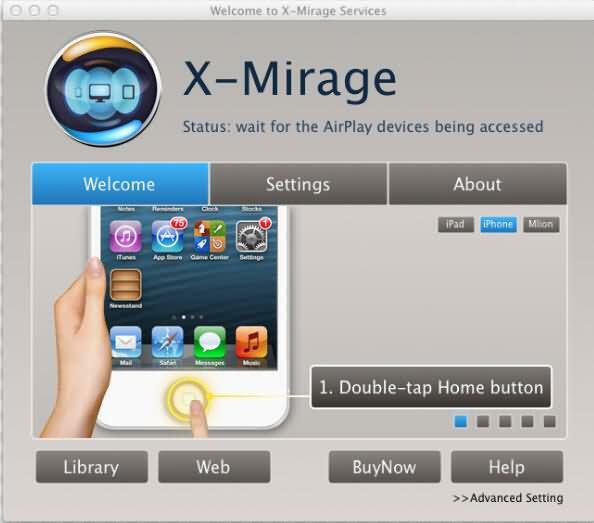 X-Mirage is rated as one of the most professional software tool for Windows PCs and Mac devices. Users can stream content wirelessly using this software and it further allows easy mirroring with iPod, iPad and iPhone etc. Efficient mirroring feature is available. Users can prefer to connect with many iOS devices at only one platform. You can enjoy one click recording function that makes recprding much more simplified. It offers very fast processing along with advanced editing features. Though your iPhone and iPad has the screen recording feature, it is not enabled by default, which means you need to set it up first. Go to Settings->Control Center->Customize Controls, find the Screen Recording option under MORE CONTROLS tab. Tap the green plus icon next to Screen Recording option and add it to the Control Center. 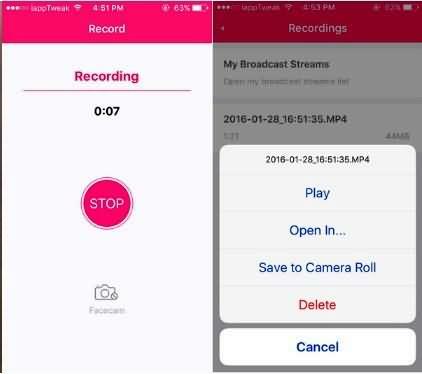 One of the best thing of the built-in Screen Recording tool is that it allows you to record the in-app sound and music while you are recording videos. 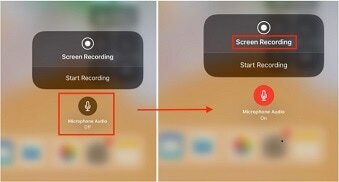 But, if you need to record your own voiceover during recording, just long pressing or 3D Touch-ing on the control tile to enable the recording control window, then tap the mic icon to turn it on or off. To start the recording, just tap the screen recording tile on the Control Center and the screen will be recorded after a three-second countdown. To stop the screen recording on your iPhone, just tap the Screen Recording icon again in the Control center, or tap the red recording indicator in the status bar and tap Stop. The recorded screen video will be saved to Camera Roll and Video albums in Photos app. We all know that there are some basic editing features available in the Photos app, like trimming and cropping. But for better visual performance, we highly recommend you to use a desktop video editing software to add more overlays, filters, animations, music, or text. Wondershare Filmora9 is a good choice if you are asking which video editing software you can use. Also, the built-in video editing software on your Windows PC or Mac, such as Windows Movie Maker or iMovie is also a good choice if you prefer. Check this article if you need more detailed steps about how to record iPhone/iPad screen on iOS 11. Download a free trial version of Wondershare Filmora9 to edit your videos below. The problem with that is that it doesn't display/capture taps. Yeap. But you have to update to iOS 11 to use the built-in screen recorder on your iPhone. Yea but how do i get a video recording overlay? How do i get a small box of me on camera as i record the screen?? ?